Anyway, now that that’s off my chest, let’s take ‘a sideways glance’ at Crazy Heart. >> Expectations: I wasn’t excited about Crazy Heart. I’d have bundled it in with The Last Station as a movie that exists only to win Oscars. Luckily, it’s not like that. Sure ting the story is a bit formulaic, but it’s an easy seven and a half out of ten. 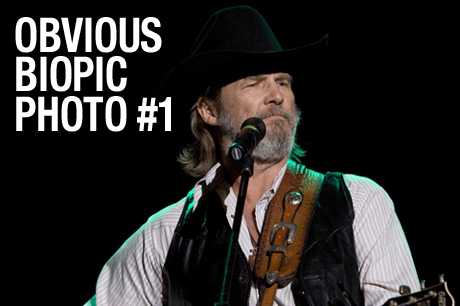 >> Jeff Bridges: JB has been a bit boring for the last decade or so, but he is right on top of the ball with this one. An Oscar win would not be unjust. >> The Wrestler: You can expect to see at least 6 or 7 weekend supplements hailing this as ‘This year’s Wrestler‘. Because it is stupidly similar. >> Music: The focus on country music does have a bit of an alienating effect on someone like me who doesn’t really care about it, a bit like when you watch Paranoid Park and have to ignore all the bits where they go on about ‘the beauty of skateboarding etc etc etc’. They do at least do a reasonable job of depicting a large crowd at a concert, rather than using the old ‘silhouetted front row’ trick. >> A fifth point: I can’t think of one.